If anyone asked me to try and choose between any of the places I visited in Malaysia, I know I wouldn't be able to decide as aside from one or two places, our time in Malaysia was pretty perfect. Along with friendly people and cheap food, this country is also overflowing with a variety of different cultures and is truly unlike any country I've visited before. It's a destination that is so underrated, so try and get there now before everyone else realises how beautiful it is. This huge country is split over two land masses but I've picked out 5 things to do in Malaysia that you may not have heard of or know about. If you're visiting Malaysia soon or looking at adding some places to visit to your travel bucket list, these 5 will hopefully inspire you. Situated in the middle of mainland Malaysia, Cameron Highlands is an incredible place to visit. Set in the rolling mountains and tea plantations, the best way to see this area is by booking a tour. If this place is a stop on your tour, you're in for a big treat. 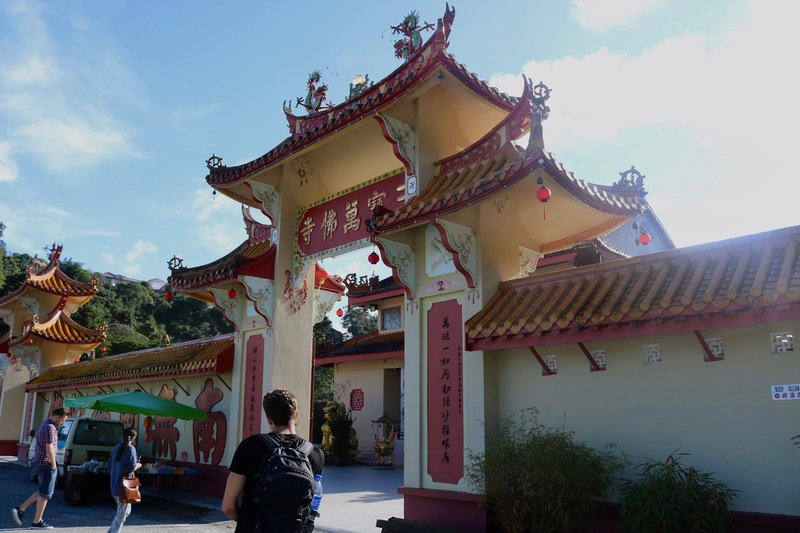 Sam Poh Temple is a stunning Buddhist complex situated in Brinchang which is a 5-minute drive from the Cameron Highlands centre. Welcomed by the colourful ornate gates as you arrive, this temple boasts everything from huge gold statues to tiny intricate details on tiles and in ornaments. This temple is spread over a few inner temples where you have to remove your shoes, but once inside you can spend as long as you like walking around. If you have a good tour guide, they will normally take you at the start of the day so you can enjoy the peace and tranquillity of the place with only a few people around you. When we went there was only one other group there, and sometimes Chris and I found ourselves alone in one of the inner temples. TOUR PRICE- shop around for this, but we went through the one that our hotel was offering as it was the cheapest one around with the most packed in and it worked out at just under £15 per person for the day. Sepilok may be a bit trickier to get to than other locations on Borneo but once you're there, it is seriously worth the trip. As well as going to see the orangutans and sun bears (more on those in a future post), the Rainforest Discovery Centre is one place that shouldn't be overlooked. 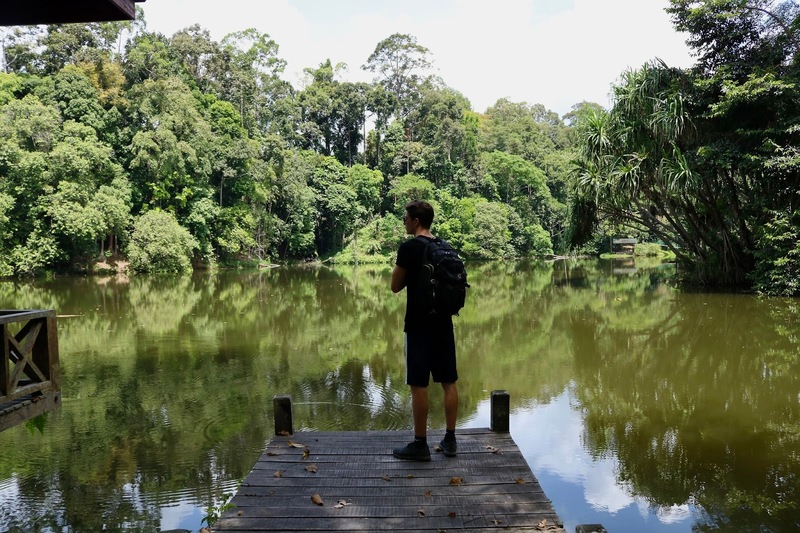 This forest reserve was located just down the road from our hostel and is a little rainforest paradise that you can explore to your heart's content. Walk along the many trails and take in the beautiful tropical fauna around you, or if you feel like getting a look from higher up, climb up one of the canopy towers to some of the treetop walkways for a unique view of the rainforest. We loved the peace and quiet of this place after the busy orangutan and sun bear sanctuaries, and with it being a little later in the day when we visited, it was much cooler than it would have been in the midday sun (trust me when I say you should avoid that at all costs). You definitely won't see as much wildlife here as the reserve is huge, but it's definitely worth exploring. A little tip- try and find the Sepilok Giant, a huge tree that is over 65 metres tall and around 800 years old. If culture's your thing, then George Town should already be on your list to visit in Malaysia. 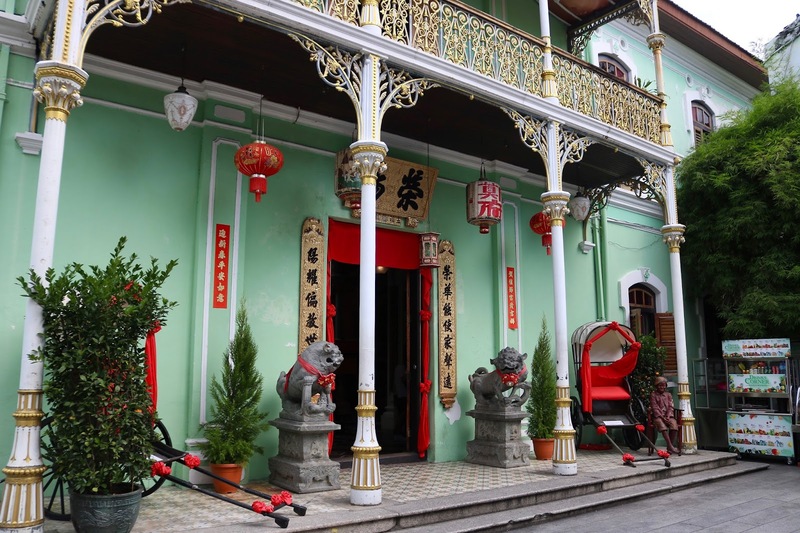 You can walk around any corner and be presented with so many different buildings and temples from so many different cultures and religions all in one place, including the Pinang Peranakan Mansion. This museum is dedicated to the Peranakans, a Chinese community that mixed with the many other cultures in Penang. They left behind many thousands of antiques that are now on display at the mansion, and visitors can take a free guided tour to discover what life was like and how they lived. The guides speak many languages, are engaging and extremely knowledgeable so definitely don't be shy to ask any questions. The architecture and artifacts are all absolutely stunning, with every piece having a story behind it. As well as the main house, you'll also be taken to the family temple and the jewellery exhibition to look at the many intricate pieces including one set of earrings that has individual kingfisher feather strands set in them. Kota Kinabalu turned out to be one of our favourite places in Malaysia, mainly because of the beautiful Tunku Abdul Rahman Marine Park. These stunning cluster of islands make the perfect day trip from the city and are some of the most stunning islands I've ever visited. 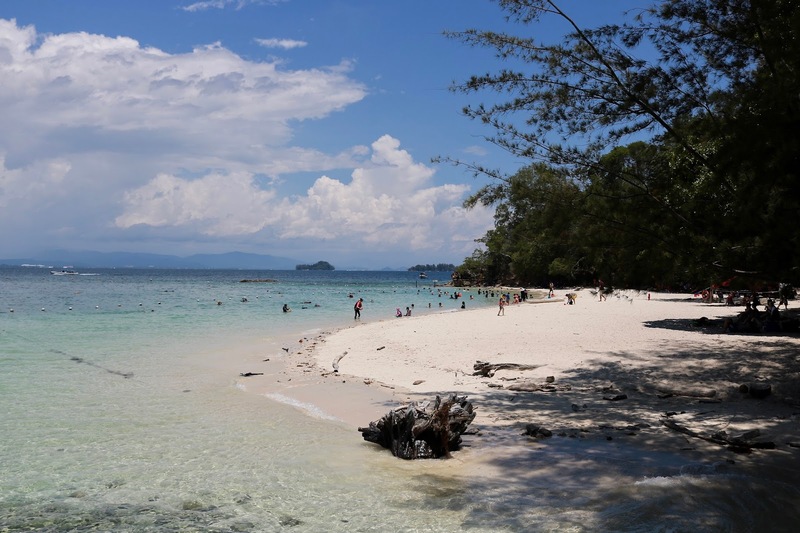 Sapi Island was one of our favourites, mainly because of the crystal clear waters that are perfect for snorkelling and swimming. As well as this, the islands feature the worlds longest island to island zip line for the adventure junkies out there! The islands can get busy very quickly during the day, so heading to an island early means you'll get a great spot on the beach. You have to pay a conservation fee when you arrive along with your speedboat return ticket and you can hire out snorkelling gear if you don't have any with you. This was the place that we saw our first ever clownfish in the wild along with other amazing fish so definitely give it a go. There are toilets and a cafe on the island, but I recommend bringing your own picnic from the mainland as it can be a little expensive if you're traveling on a budget. BOAT TRANSPORT- again, definitely shop around for the right boat company but they are normally all the same price on the jetty. Return for the day is normally around £3.60. 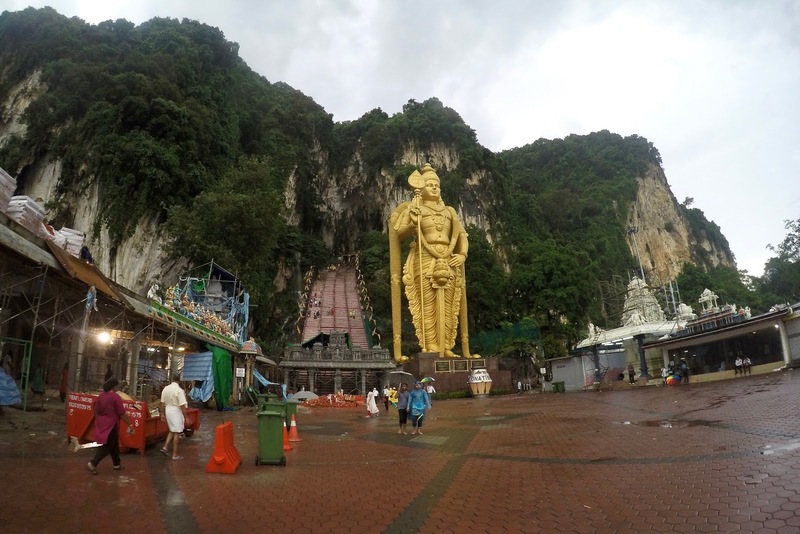 Although there are many amazing things to do in the capital, visiting the Batu Caves was definitely a highlight for lots of reasons. Firstly when we visited it poured with rain, resulting with us having to buy some plastic rain ponchos for a couple of pounds so we could make the long trek up the many stairs to the temples within the caves. Although this wasn't the grandest temple we'd been to, it was pretty amazing to see inside the caves when it was quiet (the rain seemed to have scared away any big tourist groups). On a clear day, you get a pretty awesome view of the city from the top of the steps, and the huge gold statue that guards the entrance is pretty spectacular to see in person. ENTRANCE FEE- the smaller caves and temples have different entrance fees but the main cave, which is what we decided to visit, is free! Those are just some of the fantastic things that you can get up to in Malaysia! Let me know if you've visited any of these or what other amazing places there are in Malaysia in the comments below.